St. Gabriel is one of seven archangels who enter and serve before the Glory of the Lord, and one of the three archangels mentioned in Sacred Scripture: Michael (Revelation 12:7-9), Raphael (Tobit 12:15), and Gabriel (Luke 1:27-28). The name Gabriel means “Man of God” in Hebrew or “God has shown might.” He is often depicted with a spear in his right hand and a mirror made of green jasper with an X (the first letter of the word Christ in Greek) in his left hand. The mirror signifies the wisdom of God as a hidden mystery. 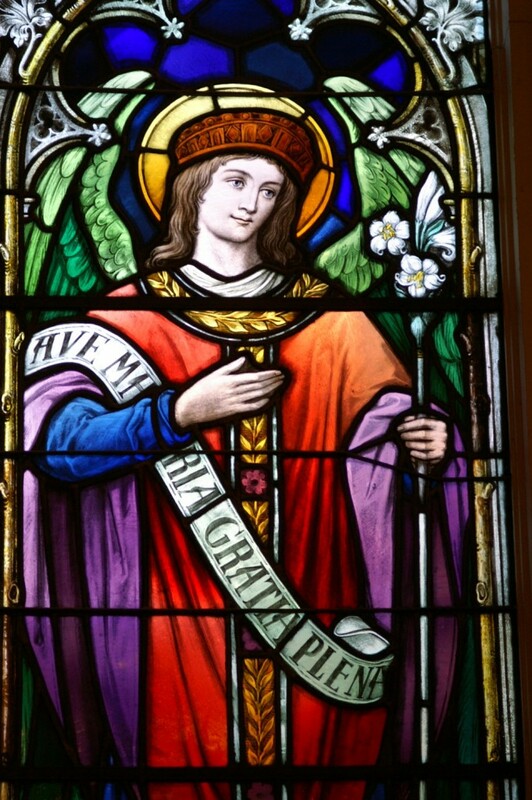 According to Sacred Scripture, the archangel Gabriel is the messenger angel who appeared to people in the Old Testament and the New Testament on many different occasions. In some appearances, Gabriel is mentioned by name. On other occasions, Gabriel is thought to be the unnamed angel who appeared and made announcements to Moses, to Saints Joachim and Anne, to the shepherds at Jesus’ birth, to the myrrh bearing women approaching Jesus’ tomb, and to Jesus in the Garden of Gethsemane to strengthen him. Feast Day: The feast of St. Gabriel was included in the Roman calendar in 1921, for celebration on March 24, the day before the Feast of the Annunciation. In l969, the feast day for St. Gabriel the Archangel was changed to September 29 for a combined celebration with the Archangels Michael and Raphael. We celebrate our feast day with a big liturgy and pitch-in gathering as a way of saying thank you to those whom have helped us.